The question of choosing the best forex broker for beginners is a matter that any trader who wants to succeed in forex trading has to consider very seriously. Unfortunately, the subject is never mentioned in most of the so-called “intensive” forex seminars that many retail traders attend before putting their money into this risky market. Retail traders cannot trade the forex market directly. They can only do this through the services provided by forex brokers, who provide the trading platforms that connect all the players of the market together. There is a huge difference between trading forex for beginners and when more experienced traders trade forex. There are certain needs beginner traders have and these must be reflected in the choice of the best forex broker for beginners. Choosing the best forex brokers for beginners must incorporate as an integral goal, helping such beginner traders to make progress in their learning curve. There are many forex brokers out there; you will get the good, the bad and the very ugly. Choosing a suitable broker is indeed a daunting task. The sweetly-worded and glamorously designed sales pages have conspired to make this so. You need to be able to sift the wheat from the chaff so your requirements are met and safety of your funds guaranteed. What should you consider when choosing the best forex brokers for beginners? Regulation comes first on the list because if a broker is tightly regulated, 70% of broker-related issues suffered by traders would have been solved. The forex market in itself may be unregulated as there is no centralized exchange, but companies who do the business of forex brokerage are under regulatory supervision. In the US, this job belongs to the National Futures Association (NFA) and Commodity Futures Trading Commission (CFTC). Recently, the CFTC punished a forex broker and ordered them to pay $14 million in fines and compensations to clients for trading-related infractions. This is how powerful the regulation in the US can be and underscores the importance of ensuring that brokers are subject to regulation. In the European Union, brokers are subject to the MiFID regulatory protocol. The Financial Conduct Authority does the business in the United Kingdom. It is very easy to verify a broker’s status from any of these agencies, especially as many brokers now operate branches from different continents. Information about a broker’s track record is also obtainable from the various online forex forums we have out there on the internet. The best online forex brokers for beginners are those who are regulated. Regulation affords traders a high level of protection. Beginners are like babies; vulnerable and blissfully unaware of the dangers around them. They therefore need all the protection they can get and using a regulated broker affords them this protection. A good forex broker should have a direct channel customer support system. In today’s financial trading world, having an instant response email, Call Me Back and Live Chat feature are very basic requirements. It is simply unthinkable that a broker who makes so much money from commissions and spread charges cannot afford to put in place such instant communication systems. So the best forex trading brokers for beginners are those who provide a means of instant and fast communication. One practice that poses problems to all traders is lack of transparency among brokers. One of such practices is stop hunting. This is a practice of some unscrupulous market maker brokers who move prices using a dealing desk to stop out trades even when true market prices are still a few pips away. Forex Capital Markets (FXCM LLC) was punished some years back by the CFTC for this infraction. Beginner traders are usually unaware of such practices. Experienced traders usually know how to navigate these bumps along the way but this is not the case for beginners. Stop hunting, excessive slippages and platform freezes are things to look out for and where these occurrences are regular with a broker, you need to avoid such a broker like the plague. So Trusted forex brokers for beginners are those who provide transparency in pricing and other trading operations, thus providing a level playing field. Top forex brokers for beginners are those who provide user-friendly trading software for their clients. A user-friendly platform makes the trading process less stressful. Many proprietary platforms make the job of trading difficult, with confusing interfaces or multi-step ordering processes. The best forex brokers for beginners are those who realize that those clients of theirs who are new to the game require some help in the form of educational material so they know what they are getting into. This is why many brokers now have portions of their websites devoted to educational resources. A lot of these resources are put together by experienced traders and can provide a comprehensive learning experience for beginner traders. Finally, the best forex brokers for beginners are those which offer social trading platforms for their beginner traders. Social trading provides a form of mentoring for beginner traders by allowing them to copy the same trades that the experienced traders are executing on the platforms. 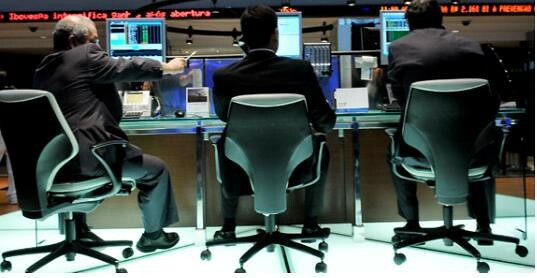 Trading in such communities simulates the same mentoring setup which is found in institutional trading desks. So if a forex broker offers social trading, such a broker is well on its way to being described as one of the best forex brokers for beginners. You can see that there are many issues that beginner traders must consider before choosing a forex broker. The best forex brokers for beginners are those which actually contribute to the trader’s learning experience. Beginners should look out for these brokers using the parameters spelt out above.